Snow Leopard to Pounce in Q1 2009? Apple to Unveil Quad-Core iMac in January? "'I'm sure I'll either get ignored or flamed for this but what's with all the pro-Mac stuff at the moment? It seems as though everyone [...] is either using or recommending Macs these days. "I'm not wanting to start a flame war here but I'm genuinely interested in why this general shift has occurred. Apple uses good quality parts. Neat and contained system settings. Apple doesn't load the system up with crap. Tonnes of small reasons make Mac OS X better. Still no need for additional security software. "Macs just let you get stuff done, whereas Windows computers constantly find ways of annoying you." "...the Mac's popularity among programmers continues rising. Apple's decision to move to Intel chips and embrace virtualization of other operating systems turned the platform into a very flexible tool for programmers. Macs let coders work with most of the software standards that live in boxes that range from the smallest smartphone to the biggest cluster of computers. "Programmers who concentrate on enterprise development and server applications are often devoted to Apple's hardware, although they're usually able to cite several dozen glitches and incongruities that annoy them. Developers building code for the Unix-dominated world of servers naturally feel more at home on the Mac. Although the surface layer is dripping with consumer-friendly eye candy, the underpinnings are close to those of BSD. This makes OS X a kissing cousin to Sun's Solaris and many versions of Linux. If you're developing for Sun servers, a Mac laptop offers a portable environment that's comfortably familiar." "In two short months, Apple's Macintosh will turn 25 years old. My, how tempus doth fugit. "To mark the awesome inevitability of January 24, 2009 following January 24, 1984 after exactly one quarter-century, tech pundits will bloviate, Apple-bashers will execrate, and Jobsian fanboyz will venerate the munificence that flows unabated from The Great Steve. The din will be deafening. "To avoid the crowds, we at The Reg decided to go first. "Follow along as we run the rule over Apple Inc. (née Apple Computer, Inc.). We'll examine how the company has transformed itself in recent years, how its products stack up against the rest, and what lurks beneath its outward display of iconic style, forward-looking rectitude, and edgy innovation. "We'll also give Apple its report card, slicing and dicing the 25-five-year operation into bite-sized letter grades. Just so you can easily tell your friends. Our goal is a noble one: To arm you, dear reader, against the slings and arrows of outrageous commentary that will assault you from all corners come January. "Don't say we didn't warn you...."
"You probably don't know Jordan Hubbard. Heck, before about an hour or two ago, we couldn't have told you if he was a B-movie actor from the 1920s or the barista at our local coffee shop. Now, however, we can say with reasonable certainty that he's the Director of the UNIX Technology Group at Apple. "Why, you're wondering, is that so great? "Which, ordinarily would be pretty boring, except for the fact that he lists the release date for 10.6 Snow Leopard as Q1 2009...."
Link: Snow Leopard to Pounce in Q1 2009? "Intel is planning to launch three 65W low-power desktop CPUs targeting small form factor (SFF) PCs and all-in-one PCs in the middle of January next year, according to sources at PC vendors. "Intel will launch the Core 2 Quad Q8200s (2.33 GHz/4 MB L2), Core 2 Quad Q9400s (2.66 GHz/6 MB L2) and Core 2 Quad Q9550s (2.83 GHz/12 MB L2) with prices at US$245, US$320 and US$369, respectively in thousand-unit tray quantities. These CPUs will have the same specifications as standard CPUs with the same model number, but will see their TDP drop from 95W to 65W." "Apple is among a handful of PC manufacturers who're waiting on a new family of quad-core chips from Intel that are designed for small form-factor PCs like the Mac mini and all-in-one systems like the iMac. "Taiwanese rumors mill DigiTimes is citing sources who say the chip maker plans to launch the 65W low-power chips in the middle of January and that 'Apple, Acer, Hewlett-Packard and Dell have already decided to launch products based on these CPUs.'" "Apple reportedly is readying the January launch of new quad-core iMacs powered by upcoming Intel chips, reports said Wednesday. The upgrade would allow Apple to offer lower-cost iMacs while increasing the performance of current dual-core processors supplied by the California chip giant." Link: Apple to Unveil Quad-Core iMac in January? "However, in this short feature we're going to show you how to use an old Mac mini as a streaming audio server that can stream music to any hi-fi system in your home, all controlled remotely via an iPod, iPhone or even a smartphone...."
"The following manuals show some of the computers that paved the way for that ThinkPad or MacBook you're likely viewing this on now." PR: The USB 3.0 Promoter Group has announced the completion of the USB 3.0 specification, the technical map for device manufacturers to deliver SuperSpeed USB* technology to the market. SuperSpeed USB brings significant power and performance enhancements to the popular USB standard while offering backward compatibility with billions of USB-enabled PCs and peripheral devices currently in use by consumers. Delivering data transfer rates up to ten times faster than Hi-Speed USB (USB 2.0) with optimized power efficiency, SuperSpeed USB is the next step in the continued evolution of USB technology. "SuperSpeed USB is the next advancement in ubiquitous technology," said Jeff Ravencraft, USB-IF president and chairman. "Today's consumers are using rich media and large digital files that need to be easily and quickly transferred from PCs to devices and vice versa. SuperSpeed USB meets the needs of everyone from the tech-savvy executive to the average home user." It is anticipated that initial SuperSpeed USB discrete controllers will appear in the second half of 2009, and consumer products will appear in 2010, with adoption continuing throughout 2010. The first SuperSpeed USB devices will likely include data-storage devices such as flash drives, external hard drives, digital music players, and digital cameras. The USB 3.0 specification debuted today in conjunction with the first SuperSpeed USB Developers Conference in San Jose, California. The conference provides attendees the first opportunity to hear directly from the creators of the USB 3.0 specification; keynote speakers will address advancements offered by the new technology. In addition to technical sessions, an exhibit area will showcase the latest developments and early designs featuring SuperSpeed USB technology. Attendees will obtain information on the best practices for incorporating SuperSpeed USB into their product roadmaps. The USB 3.0 specification includes many advancements for both consumers and adopters, including higher speeds and enhanced power efficiency. For more information about the USB 3.0 specification, visit <http://www.usb.org/developers>. PR: Honored for its aesthetically appealing design by Stuart Karten Design, its eco-friendly ingredients and packaging, and simple storage and backup features, the SimpleTech [re]drive by Fabrik was selected as a CES 2009 Innovations Design and Engineering Honoree in the Computer Peripherals category. From its renewable bamboo and recyclable aluminum enclosure to its packaging, Energy Star power adapter, and low-power hard drive, the SimpleTech [re]drive helps make the world a little greener. With TurboUSB1 2.0, which is up to 25% faster than USB 2.0, you do not have to sacrifice performance for style. Featuring both local and online backup, it's perfect for giving you more room to store and protect your precious files from life's little disasters. 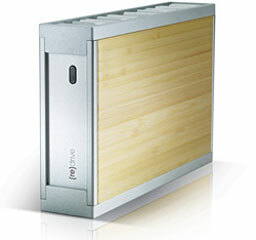 For Mac and PC users, the SimpleTech [re]drive is plug n' play simple. MSRP is $139.99 for 500 GB. "We've received great traction in the market. People are genuinely surprised at just how far we've taken the [re]drive in terms of its eco-friendliness. We are thrilled that the CES Innovations panel believes so too," said Stacey Lund, vice president of marketing at Fabrik. "Faced with a challenged economy, people will be looking for holiday gift ideas that are affordable and practical, and we see this product delivering on both levels. It's a great way to help loved ones protect their data, while giving them a stylish, energy- efficient product that is sensitive to the environment." "In working with Fabrik, we explored new materials, manufacturing processes and construction methods that would have the least impact on the environment and adopted these elements as key design drivers for the SimpleTech [re]drive," said Stuart Karten of Stuart Karten Design. "By reducing the number of parts and using renewable and recyclable materials, we were able to create a design that challenged the norm in the consumer electronics industry, while giving consumers a green alternative for protecting their data." How Much of the [re]drive Is Actually Eco-friendly? bamboo is steamed press using water only. No harsh chemicals or wood varnish are used. Total power savings could equal up to 90 percent when compared to traditional external drives2 or the equivalent of reducing approximately 475 lb. of carbon dioxide emissions over the life of the drive3. Estimated power savings per daily watts. Savings will vary depending on how long the external drive and/or computer system is left on. Calculations are based on using a traditional 7200 RPM 500 GB external drive running 24/7 at 200 watts/day (10% R/W, 90% idle), compared to the [re]drive running 5/24 at 19 watts/day (10% R/W, 90% idle) in a system that sleeps or is turned off. Calculations are based on using Spring Light's CO2 Savings formula and the [re]drive running at 5/24 (180 watt savings x 365 days x 5 year life = 328K watts). The CO2 contribution of 1000 watts is 1.45 lb., calculating to 328,000w * 1.45 lb./1000w or 475 lb. of CO2 saved. PR: Other World Computing (OWC) has announced that it has expanded the storage capacity of the NewerTech miniStack powered hub and OWC Mercury Elite-AL Pro FireWire 800, FireWire 400, USB 2.0 and/or eSATA storage solution lines from 1.0 TB to an industry leading 1.5 TB (1,500 GB), making them the world's highest capacity single drive powered hub and "Quad Interface" professional grade storage solutions available. Previously offering up to 1.0 TB capacity, the new 1.5 TB capacity NewerTech and OWC storage solution models feature 32 MB cache, industry-leading acoustics and power levels, and the industry's most reliable and proven Perpendicular Magnetic Recording Technology. While built for performance, the miniStack and Mercury Elite-AL Pro 1.5 TB hard drives are also eco-friendly, using only 8 watts of power at idle. OWC and NewerTech storage solutions are currently available in single drive solutions of up to 1.5 TB and multi-drive solutions of up to 4.0 TB. From desktop to rack mount, from performance RAID to the largest capacity bus-powered portable on the market, OWC and NewerTech solutions provide a wide array of high quality, high performance external storage options. Additionally, OWC and NewerTech storage solutions featuring Hitachi hard drives offer money saving rebates with 1.0 TB solutions currently priced from as low as $159.99 after rebate. In addition to industry leading storage capacities, all OWC Mercury Elite-AL Pro and NewerTech miniStack storage solution models offer value added features like including all interface connecting cables for Plug and Play operation straight from the box, 3 year warranties, free lifetime US-based technical support, and a $200 retail value utility software bundle consisting of award winning ProSoft Engineering Data Backup 3, NovaStor NovaBACKUP, and Intech SpeedTools Utilities™ software. PR: Just in time for Thanksgiving, Livescribe Inc. has announced the public beta of its native Mac desktop application - Livescribe Desktop for Mac. Livescribe also announced key new features for its Pulse smartpen, including handwriting to text transcription software and the ability for consumers to print dot paper notepads for free. 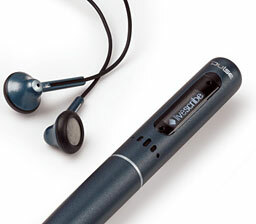 The Pulse smartpen is a computer within a pen that captures handwriting and simultaneously records audio and synchronizes it to the writing. Consumers tap on their notes to replay what was recorded from the exact moment they were writing. With preprinted controls at the bottom of the dot paper notebooks, they can fast forward, rewind, jump ahead, pause or even speed up or slow down the audio recordings to easily access information. All of this information, including the audio, can then be uploaded into their computers to save, search for keywords or share with friends, colleagues and classmates. From college students to business professionals, from medical workers to detectives, and from parents to attorneys, Livescribe's Pulse smartpen is a simple, affordable and effective way to take notes and recordings, so they never miss a word they hear, write, or speak again. "Given the current state of the economy, people want gifts that solve real problems," said Jim Marggraff, Livescribe's founder, chairman and CEO. "Forty-three percent of people we surveyed between the ages of 25-54 said they are looking for technology gifts that are 'useful' this holiday season. Pulse fills this need. It's a useful solution for anyone tasked with gathering and organizing information - college students, professionals, or anyone who uses pen and paper." Livescribe Desktop for Mac Public Beta: Just in time for Thanksgiving, the Pulse smartpen is now compatible with all Intel-based Mac computers with Leopard OS 10.5. Beginning Nov. 24, consumers can download the public beta software for free at <www.livescribe.com/install>. The software makes it possible for Mac users to upload their notes and audio recordings, play them back, search for words, and easily browse through digital copies of their notes. Livescribe is inviting all Pulse smartpen owners to e-mail their feedback on the public beta release to: cs@livescribe.com. Version 1.0 of the Livescribe Desktop for Mac will be available in Q1 2009. All current and new users of the Pulse smartpen can use Pulse with Mac computers for free. Handwriting to Text Transcription: Responding to the number one requested feature among Pulse smartpen owners, Livescribe's partner Vision Objects is offering "MyScript for Livescribe" text transcription software, which allows note takers to seamlessly transcribe their handwritten notes into text. The software will be available with the Livescribe Desktop for Windows (version 1.4) to be released on Nov. 24. With MyScript for Livescribe, consumers can make edits to their converted text and even create a personal dictionary of frequently used words to ensure a more accurate conversion. The text can be copied and pasted into a variety of applications, including Microsoft Word and Outlook. On Nov. 24, MyScript for Livescribe transcription software can be downloaded as a free 30-day trial or purchased for $29.95 at http://www.visionobjects.com/store . The software works best with neat and legible handwriting. Print Your Own Paper: With the release of Livescribe Desktop for Windows 1.4, consumers have the ability to print dot paper notepads for free. Dot paper notepads can be printed directly from the Livescribe Desktop toolbar on most color laser jet printers that are Adobe Post Script compatible and print at 600 dpi or higher. In addition, Livescribe provides a variety of dot paper notebooks, including lined and unlined journals and college-ruled notebooks for purchase at prices comparable to other college-ruled notebooks. Additional Support: Version 1.4 of the Livescribe Desktop includes full support for Windows XP 32 bit, and Vista 32-bit and 64-bit operating systems. 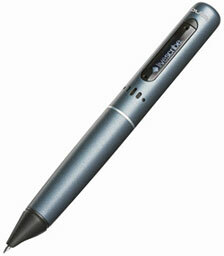 The Pulse smartpen is available in two models. Priced at $149, the 1 GB model provides storage for over 100 hours of recorded audio. At $199, the 2 GB model doubles the storage capacity and provides more flexibility for downloading future applications. Accessories for the Pulse smartpen are available including a leather case or two-pack of journals available in black or red. Pulse is available in the electronics section at Target stores nationwide, Costco wholesale stores nationwide, as well as Amazon.com, Livescribe.com and over 100 major campus bookstores. PR: Hyperspaces lets you customize your spaces. Customize each and every space the way you want using colors, desktop pictures, text labels and even the name of each space. The Hyperspaces Public Preview is a "preview" for a reason - it's got a couple of rough edges that we're working on. If you find a problem or would like to ask a question, please sign up for an account at our project server and you can help us smooth things out. Hyperspaces uses new technology in Mac OS X 10.5 Leopard such as Core Animation and Core Image. Watch as your desktop gently fades from one color to another, or use the new space switcher to quickly flip between your spaces. PR: Sun Microsystems, Inc. has announced the availability of StarOffice 9 and its Asian language counterpart StarSuite 9 with new versions of word processor, presentation, spreadsheet, database and drawing software. This major update to Sun's productivity suite comes with native support for Mac OS X 1.4 and later, delivers significant enhancements and provides advanced, extensible productivity tools for all users. With Mozilla's Thunderbird email client and Lightning extension for calendaring as part of its distribution, StarOffice 9 software provides a simple, comprehensive solution for businesses of all sizes, from small- and medium-sized businesses (SMBs) to large enterprise customers. The suite includes many extensions that make it easier to perform common tasks such as editing PDF files, creating reports, blogging, and publishing wikis. Additionally, Sun Services can provide enterprise tools to assist customers who are migrating from Microsoft Office to StarOffice 9. "With every release, StarOffice becomes a more powerful, effective productivity tool. The latest, StarOffice 9, is especially notable for how well it deals with various file formats," said Jonathan Eunice, Founder and Principal IT Adviser at Illuminata. "In addition to its native ISO-standard Open Document Format, it has strong support for Microsoft Office - both legacy and new OOXML files - and for PDF, which can now be imported and edited." "In the more than 25 years that I've worked in the computer industry, I don't know when I've been as proud as I am today - with the release of StarOffice 9.0," said Jim Parkinson, Vice President, Developer, Tools and Services at Sun Microsystems, Inc. "The StarOffice engineering teams and OpenOffice.org community have come together to produce a first-class product. With the new features in 9.0, businesses get an open standards-based, enterprise-class office productivity suite that is compatible with Microsoft Office but costs significantly less. With its ability to read MS Office Open XML files, support for MS Access 2007 .accdb files and improved VBA macro support, StarOffice 9 is a great option for companies looking to reduce their IT costs in these tough economic times." StarOffice 9 is completely open sourced, with the same binaries as OpenOffice.org 3.0. In this release, StarOffice has a fresh new look, with a new start center, new icons and a host of usability improvements. Many new features - multiple page editing in Writer, an optimization Solver tool and 1024 columns in Calc, native table support in Impress, and effective handling of poster-size graphics in Draw - increase productivity and make StarOffice 9 very easy to use. StarOffice 9 and StarSuite 9 are available for download from http://globalspecials.sun.com for $34.95. Volume pricing for the enterprise starts at $25 per user and is immediately available from Sun and its authorized resellers. The new subscription model includes license and support, comes in one- and three-year terms, and the customers can choose between standard or premium support. More information about services is available at http://sun.com/software/staroffice/support.jsp. 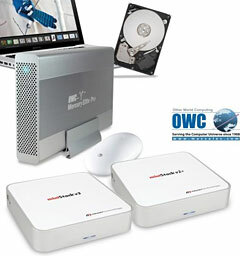 PR: Purchasing OWC and NewerTech external hard drive solutions just got even better. ProSoft Engineering Drive Genius 2 is software that allows you to maintain, manage, and optimize your hard drive. Purchases of OWC or NewerTech external FireWire, USB, or eSATA storage solution(s) now qualify you for the purchase of the award winning Drive Genius v2 for as low as $20, that's $79 less than the ProSoft Retail Price! Limit 1 unit of this Drive Genius special per order. Drive Genius, used at Apple Store Genius Bars, is the application for maintaining, optimizing, repairing your hard drives. This latest version 2 release incorporates the new 'DriveSlim' tool, the best way to free up more space on your hard drive. It identifies duplicate files, unneeded bloat, and makes it fast and easy to maximize your drive space. For example... Not fluent in Suomi? One way DriveSlim helps you free up space is by removing unused languages. Great for duplicate iTunes music, photos, you name it! It does the hunting for you + will create aliases of the original files so not to interfere with accessibility too. The award winning Drive Genius truly makes you a Genius with your Hard Drives. Drive Genius has established itself as the industry standard disk utility for the Mac platform. The new Drive Genius 2 is built upon the same award-winning foundation of the original Drive Genius. Improvements have been made to speed and overall performance in the new version. One of the most noticeable and eye catching changes is the all-new user interface. Drive Genius 2 makes hard maintenance tasks painless, fast and easy. Traditionally, hard drive maintenance and management has been difficult, time-consuming and confusing. In many cases people skip these critical activities - sometimes leading to disaster. Thankfully, Drive Genius 2 makes these tedious tasks painless, fast and easy. Repartition On-The-Fly - Add, delete, hide, expand or shrink OS X partitions so you can organize your drive more efficiently. Shred - Stop prying eyes with DoD compliant (5220.22 - m) secure erase. Removes all traces of data from free space and deleted data on any drive or OS X volume. Details - In-depth report of specifications and space utilization of all drives or OS X volumes. Initialize - Easy, high level OS X formatting to prepare new hard drives for use on your computer. Duplicate - Fast and easy volume or entire drive cloning. Integrity Check - Find problems before they find you with these comprehensive hardware verification tests. Repair - Quickly fix corruption and errors to get your damaged drive up and running fast. Rebuild - Rebuild and replace OS X volume structures to regain access to files that have become lost or hidden. Verify - Check OS X volume structures for possible corruption. Fix Permissions - Corrects OS X boot volume permissions to improve application performance and compatibility. SMART Status - Read and display SMART. diagnostic codes from your hard drive to avoid dangerous hardware failures. DriveSlim - Free up more space on your hard drive with Duplicate Files Search, Large Files Search, Language Support Removal and Universal Binary slimming. Defragment - Get the most speed and efficiency possible by optimizing your hard drive(s). Benchtest - Make sure your hard drive performance is what it should be with comprehensive speed tests and graphical comparisons to other common configurations. Surface Scan - Verify your hard drive's reliability with a complete suite of nondestructive read verification tests for any drive or OS X volume. Sector Editor - Fine tune all aspects of your system with direct, advanced byte viewing and editing of all data on your drives, volumes and files (for expert users only). Internet Connection required to get features added in Version 2.1, which is available as a free download. Drive Genius 2 ships on a single Universal DVD. This DVD will boot both PowerPC-based Macs and Intel-based Macs. Editor's note: See Charles Moore's recent review, ProSoft Drive Genius 2.1.0 Disk Tools Suite Adds HD Space Recovery DriveSlim Feature, on Applelinks.